Voted SA’s no.1 Double Cream Plain yoghurt at the 2018 SA Dairy Championships, there’s no limit to what you can do in the kitchen with our delicious Double Cream flavours. Made with real ingredients and available in a range of flavours, your indulgent treat can be enjoyed at any time of the day. Gelatine and gluten free. 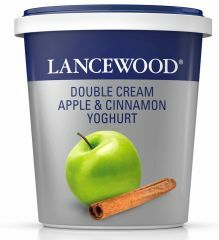 All Yoghurts now available in a 500g and 150g pack size, perfect to fit your lifestyle.